The Reid Glacier Headwall climb of Mt. Hood is a fantastic and challenging early season climb on the southwest side of Mt. Hood. The route climbs a steep and sustained line, following various chutes and gullies up steep snow to the summit ridge. Climbing the Reid Headwall on Mt. Hood is a big day, it requires serious endurance to climb unrelenting terrain for pitch after pitch. To begin with, we start our climbs from the Timberline Lodge, aiming for the Illumination Saddle, either in a snowcat or on foot. After a break at the saddle, we drop down onto the Reid Glacier of Mt. Hood. We navigate crevasses and a bergschrund to access the steep climbing. Many roped pitches wind us through gullies, up snow-ribs and around icy towers. 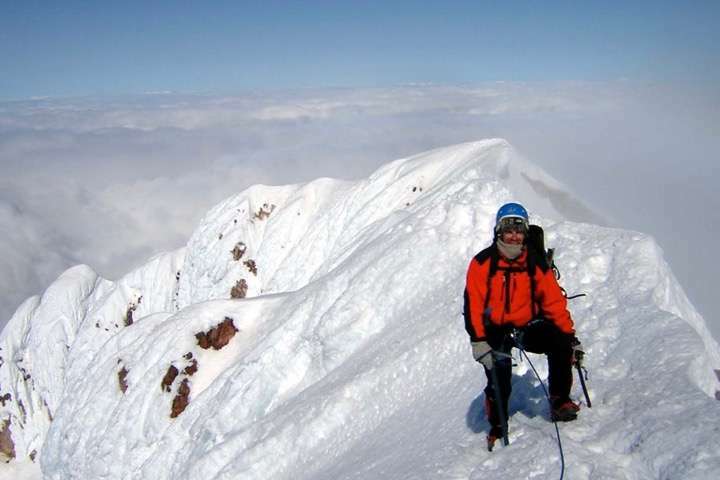 Eventually, we make it to the rime ice covered summit ridge for a traverse to the highest point in Oregon. We descend via a route on the south side, heading back toward the Timberline Lodge. The Reid Headwall can be found in a variety of conditions – from calf-pumping ice to quad-burning snow. Routes with this sustained of technical climbing on steep snow are not all that common, lending the Reid Headwall “classic” status in the Pacific Northwest. The Reid Glacier Headwall is a difficult alpine ice route. 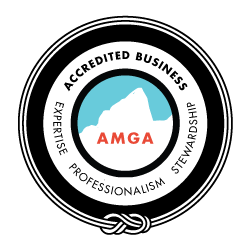 It entails a series of gullies of ice and steep snow, and usually dozens of pitches of roped climbing before even reaching the summit ridge. Accessing the headwall alone, requires a steep snow descent onto the Reid Glacier, and navigating crevasses and a bergschrund to access the route. the North Ridge of Mount Baker is as difficult and technical, and an overnight too!